Can someone help me out and show me how the MSD Blaster 2 coils should be wired? Can I assume that the first prong is the negative - wire (smaller 22 gauge) and the second prong is positive + (10 gauge wire) reading it from left to right? So the smaller wire should connect to the negative - on the coil and the thicker wire should connect to the positive + on the coil. Re: MSD Blaster 2 Coil wiring diagram needed. Would this be the correct way to wire 2 MSD Coils? 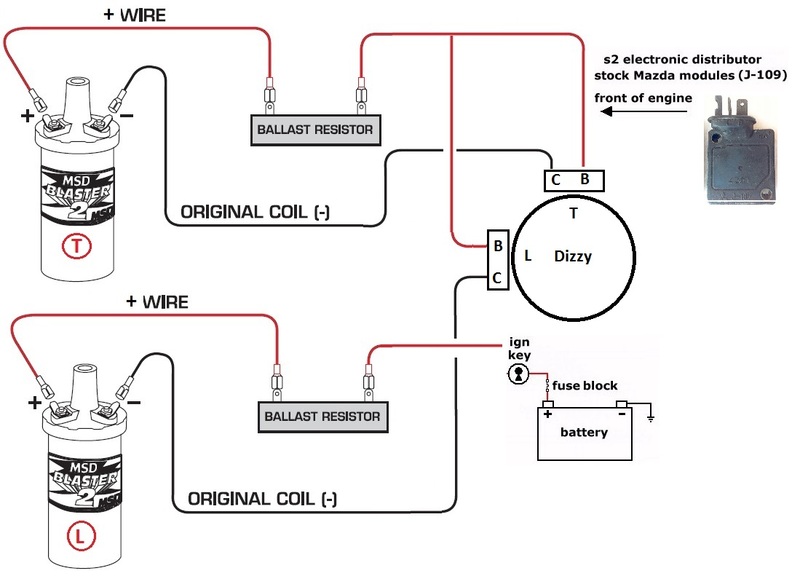 Quick Reply: MSD Blaster 2 Coil wiring diagram needed.